A friendly journalist asked me if I had seen the paper from Norway which looked at cholesterol levels heart disease and overall mortality. Amazingly, as I have sensitive antennae for such things, I had not heard of the HUNT 2 study. Not quite so amazingly, no-one else seems to have heard of it either. Strange, in a world where the most ridiculous dietary studies are plastered across the front pages of the newspapers, and get top billing on the BBC. You know the type of thing…. Eating red meat regularly ‘dramatically increases the risk of death from heart disease’ A typical headline from the Daily Mail. The graph on the left looks at overall mortality vs. cholesterol levels. The one on the right looks at ischaemic heart disease and cholesterol levels in both men and women. As you can see, for women the story is very straightforward indeed. The higher the cholesterol level, the lower the risk of overall mortality. With regard to heart disease alone, the highest risk is at the lowest cholesterol level. For men there is more of a U shaped curve, but overall mortality is highest at the lowest cholesterol level. This was a ten year study done in Norway, looking at fifty thousand people – with no pre-existing heart disease. So what we have here is five hundred and ten thousand years of observational data. Added together these studies looked at two hundred thousand people, with a total of two million years of observational data which is a pretty damned impressive amount of work and figures. I am willing to bet that you have heard nothing about either of them. But how could you? The Austrian study passed by the mainstream media without a whisper, as did HUNT 2. The boy tried to shout that the Emperor had no clothes, but the crowd had stuck in ear plugs. For who wants to hear such an annoying message anyway? This entry was posted in Dr Malcolm Kendrick and tagged cholesterol, doctor, dr. malcolm mckendrick, HUNT 2, scottish, statin nation, statins, study, the great cholesterol con on September 25, 2012 by Dr. Malcolm Kendrick. Error bars on the data? I’m on its side already. Recently I have written a book about health in The Netherlands in which also preventive treatment with statins is included. In that book I would like to present a figure from The great cholesterol con. It is published in the Dutch translation at page 135 (figure 26). The figure shows the prevalence of coronary heart disease (mortality) in men aged 35-74 years, in comparison with average cholesterol levels in 15 countries. May I ask your permission? Of course, you have my permission. Your right graph says to me that, in light of the error bars, I can take it that death by heart disease is insensitive to cholesterol in the approximate range 4.5 – 7.5 mmol/L: more clearly so for men than for women. The left graph says that total mortality over ten years is lower for women at 7.5 than at 4.5 mmol/L, while for men it’s lower at 5.5-6.5 that it is at 4.5 or 7.5 mmol/L. My total cholesterol is 3.8 mmol/L: more bacon sandwiches required? I think more bacon sandwiches are always required, as they are most delicious. Will they raise your cholesterol into the healthiest range? Maybe, although the evidence that diet has much impact on LDL/Cholesterol is unconvincing. If you reduce carbohydrate intake you will almost certainly reduce insulin output, improve any insulin resistance, and increase HDL and reduce VLDL – which may be of considerable benefit. agree completely with this statement. Carbohydrates and insulin resistance it the elephant in the room. It’s bacon without the bread, then. Or, a favourite of mine, a bacon sandwich consisting of a folded rasher between two slices of black pudding. I am an enthusiast for Dr Kendrick generally, and especially Kendrick on cholesterol. I’m 6.5 chol, 77yo, constantly ducking intense incoming fire from my GPs statin-gun. This year I jumped off my local hospital’s angiogarm rollercoaster before they strapped me down and pressed the go button, in enthusiastic defiance of NICE, on a nurse’s say so, complete with the de rigeur ‘urgent’ statin prescription. So I too love this Norse study, insofar as I can understand it. . But statistics is all Greek to me, including all in this post and comment series. I’d appreciate some layman-speak about these graphs, indeed about the whole Norwegian study (I have read it) in the manner of “The Great Choleserol Con”, . I do so want Dearieme (#4) to be right about the righthand graph, if “insensitive” in this context means “forget it”. But also I read and note a rar(ish) qualification/hesitation in the report itself: “Only the association with IHD among men could be interpreted as suggesting a positive, linear trend”. Is there any contradiction lurking here? Any reason to modify the cheers and bunting, at least in men? And can somebody who knows spare the time to tell me what the left hand axis label “hazard ratio” means in lay terms and simpleton’s numbers? Hazard ratio is reasonably simple. A hazard ratio of one means (essentially), average risk. 1.2 means a twenty per-cent increase in risk and 0.8 means a twenty percent reduction in risk. A hazard risk of zero means no risk it happening at all. So, lower is better. What these graphs show, for you, a man with cholesterol of 6.5mmol/l. Is that your risk of dying of heart disease is 2-3% higher than it would be if your cholesterol was less than five. However you risk of dying of everything added together: heart disease, cancer, respiratory disease, infections etc. etc. is 20% lower than if your cholesterol level was less than 5.0mmol/l. The take away message from this study is that, for women, the best cholesterol level to have is above 7.0mmol/l. For men, the best cholesterol levels is about 5.5mmol/l. Best meaning, lowest risk of dying of anything. It is always the case that much needed genuine interest, sincere concern, and valuable objectivity fall as the the early casualties when dogma is confronted by the truth. Dr Kendrick, I wonder if you could clarify. .. … .. I tried to research the business of ‘cholesterol testing’ and found it a mysterious subject. Cholesterol can be found about the body in several places and in the main the presence in diverse locations indicates some purpose or function. It is distributed around the body in the blood. But the blood is essentially aqueous and cholesterol is essentially fat soluble and not water soluble. Without a trick up its sleeve human and animal physiology would find itself with a probable – fatty slicks forming in the blood. So the incredible solution that nature came up with was the ability to form lipoproteins (LDL, HDL etc.) Lipoprotiens are a bit like macro-molecules made up of molecules of substances that might be wholly or partially aqua-phobic. Cleverly these molecules clump together with their lipophilic aspects (fat soluble ends) facing inner-most, and their hydrophilic (water soluble aspects) facing outer-most. In their centre is haven for the fully paid up fatty types such as, but not limited to, cholesterol. The lipoprotein is a clever disguise, a ‘proxy’, presenting some that will mix with water and the blood, but being a vehicle in which things that wouldn’t mix can ride. As you make clear in your book cholesterol isn’t really there in the blood because it is only to be found riding in lipoproteins, and strictly it is lipoproteins which are present in the blood. This sounds a bit picky I know, but .. .. this natural arrangement makes testing for cholesterol difficult. So, (and here lies my uncertainty and the nub of my questions) I gather there is a test which can isolate and test for quantities of cholesterol but is involved, difficult or inconvenient, and perhaps a little costly. Does this test go by the name of the Liebermann-Burchard test? .. .. .. But if I visit my practice and have samples taken am I correct to believe these samples will be sent for a ‘lipid profile test’ which is a different beast entirely? The lipid profile test reports back numbers for the various factions of lipoproteins like HDL, LDL, VLDL, IDL, etc., with often VLDL and IDL being lumped together(is it?) as ‘triglycerides’. Very evidently the lipid profile test doesn’t ‘test’ for ‘cholesterol’ at at all; instead it tests for ‘lipoproteins’..
.. but because quantities of cholesterol to be found in the various lipoproteins generally falls within certain ranges specific to the size, or ‘density’, of the lipoprotein faction then a measure of the lipoproteins infers or indicates a measure of cholesterol present (if not strictly present in the blood.) to my mind the lipid profile test is a proxy test for cholesterol, that gets around the thorny issue of testing for this valuable substance itself. And the proxy test is a poor avenue by which to draw conclusions upon cholesterol because lipoproteins carry other fat soluble substances including, possibly and under certain conditions, oxidised fats and oxidised cholesterol. Plus, we know from animal experiments conducted in the 1970s that adding pure cholesterol to the diets of lab animals proved innocuous or harmless, while adding oxidised cholesterol to the diet of lab animals proved highly deleterious and promoted atherosclerosis. ‘Pure’ cholesterol can be oxidised to one of three oxy-cholesterols, and of those three one of the variants is acknowledged for its distinguished ability to inflict harm. Given the appalling sloppiness of medical science (not yours, I hasten to add !!) in which the important distinction between a lipoprotein (a ‘vehicle’ that may carry cholesterol – and other things) and cholesterol itself is blurred by truly fraudulent use of terminology like ‘LDL-cholesterol’ or ‘LDL-c’ are we ever clear what is being reported in studies like this HUNT 2 study? Straight away, when I see charts like those you recreate above, I wonder is it cholesterol that has been measured by the laborious and inconvenient Liebermann-Burchard test or is it some sum of some factions of lipoproteins that are being reported while being tagged with the label ‘cholesterol’? Just how clear do the authors make this distinction or are they themselves a little intimidated in, or bemused by, the presence of a proxy or two, do you think? Surely the indications are strong through the witnessed and distinguished properties and effects wrought by cholesterol and oxy-cholesterol(s) and by what we’ve learned about trans-fats (the hard way) that the confirmed and important variables leading to heart disease are qualitative by nature and not simply quantitative as the cholesterol faithful camp would have us believe? ‘PROBLEM’ makes for better sense. Another test sometimes done is to look at the apolipoprotein B-100 levels. This is a form of protein attached to lipoproteins, usually LDL and VLDL. In general, what people mean by ‘high’ cholesterol levels, is high LDL levels. This being the ‘bad’ cholesterol that clogs up your arteries….ho,ho. However, most people accept that the total cholesterol level is an indicator of LDL, and a bit of VLDL. Others also talk of dyslipideamia, with low HDL ‘good’ cholesterol and high VLDL now moving in as the new villan of the piece. I think this nomenclature was all designed to confused. It tends to mean that, no matter what contradictory evidence turns up the ‘experts’ will merely say. Ah, but, you did not measure the HDL, and it is HDL that is really important. When you find evidence that contradicts the HDL level, they say. Ah, but the ratio of HDL to LDL that you need to look at. When you find evidence that contradicts this they say ah, but you need to look at the overall lipid profile. This game eventually closes back round in an endless, impossible to pin down, loop. Thank you very much Dr Kendrick, now I no longer feel such a pedant, or so radical, for having re-mapped my mind with an opinion that the familiar test for cholesterol, the ‘lipid profile test’, isn’t strictly a test for cholesterol at all. All this test does is report lipoprotein counts. Cholesterol rides within lipoprotein simply because that’s a working arrangement that nature has adopted to overcome the challenge of distribution of a hydrophobic (water hating substance) around a hydrophilic highway (the blood and the infrastructure of the veins). Just possibly, my mind wonders, cholesterol could act as a catalyst, or ‘nucleic seed’, around which the constituent components of the body of the macromolecular lipoprotein can form. This aspect, the hpothesised capacity to ‘seed’ the formation of a macromolecule around it, could well be a feature (or attribute) of the molecular architecture of the particular sterol that is ‘chole-sterol’. At this moment, somewhat late in life, I find myself wishing I’d had as much schooling in biology as I did in ‘woodwork’. .. ..
.. What about the molecular architecture of cholesterol could potentially attract the lipophilic (fat-like) aspects of other molecules such that the hydrophilic aspects (‘ends’ or ‘faces’) can then be orientated to face outwards and offer a ‘proxy’ attribute of a complete hydrophile to the outside world while remaining internally hydrophobic? Then if there is such a feature is it a feature that contrasts with, or is distinguished from, your run-of-mill plant sterols? Just why are the kingdoms of plants and the kingdoms of animals so divided by their choice of sterol? The idea of ‘seeding’ is just that, an idea. But the idea does take the link, issue, and question of ’cause and effect’ to another level. At one level we can be clear the transport of fats, fatty types, and fat soluble vitamins, around a water based network would be problematical without some practical and functional solution. The solution is to build lipoproteins which overcomes the functional challenge. We can then see the lipoprotein offers a haven for the fatty types in its lipophilic core. But what brings the constituent components that make up the ‘shell’ and body of a liporotein together? What guides them to this solution? Is this particular agglomeration and collective an ‘effect’ for which there is a ’cause’, and could such causality be in any way linked to the constituents of the core? Could cholesterol be the constituent holding the key to the primary link in this aspect of causality? I am absolutely with the direction in your book; the war on cholesterol is close to crime against humanity. Your prediction is correct; It is so close I cannot distinguish any difference. The crime of causing death by heart disease has been pinned upon cholesterol upon entirely spurious evidence. The essence of the the cholesterol hypothesis and its derivation equates to a miscarriage of justice and wrongful conviction. It is not just that that the miscarriage of justice permits the real perpetrators of the ‘crime’ to walk free, just as did the wrongful convictions of the ‘Guildford four’, the ‘Birmingham six, or sentencing of Barry George for the murder of Jill Dando, for the real killer(s) is still on the loose, but quite arguably the cholesterol hypothesis is directing consumers to choices that may actually raise the risks of mortality or morbidity either from heart disease of other ‘diseases of civilisation’, such as MS, cancer, Alzheimers, diabetes, and heaven knows what else. A hypothesis, medical or otherwise, that persists in the face of advocacy and reason that ought to render it totally obsolete, and that guides questionable practice and spurious and harmful advice is a breach of human rights to live out ones life in the way nature intended. If there is something fundamental to the prospects and security and well-being of living thing such as ourselves it has to be access to energy and nutrients in forms that evolution, biology, and physiology deem expedient. After that comes the folly of interfering with natural expediency in the absence of the full knowledge of how things might actually work. I sometimes wonder if the only way to overturn this malaise and madness derived from this miscarriage of justice is to circumvent the domain of medical science and the process of peer review by recourse to potential legal channels to restore common sense, good faith, and human rights. After reading MEMOIRS OF A RADICAL LAWYER (Michael Mansfield QC) this no longer seems such a radical idea to me as it once did. Good science is like good law, it doesn’t have to wholly empirical or let reductionism triumph over holism and inclusive appraisal. The more inclusive we are in any process of advocacy or reason greatly enhances the prospects of a trajectory that trends towards the truth. Sound science can completely reject empiricism and found itself upon promising advocacy and reason; Darwin illustrated that.The job of the skilled advocate is to press home advocacy in terms, language, syntax, and semantics the ‘jury’ can understand. Charles Darwin, Robert Tressell, Michael Mansfield, and Dr Malc Kendrick come to mind as having overcome the challenges advocacy, terms, language, syntax, and semantics, that can be the hurdles to the presentation (receipt and cognition) of what boils down to a fairly simple truth. Rushing to conclusions, be they ones that favour the cholesterol faithful camp or be they ones that bolster cholesterol sceptic sentiment, from interpretation of quantitative returns from the lipid profiles test is at risk of becoming a failing for not being a sufficiently inclusive approach that takes account of the probability of qualitative variables associating with lipoproteins that may well have a bearing upon heart disease and its causality. The prospects of oxidised lipids riding within a lipoprotein, or the presence of ‘radicals’, could be qualitative variables that may be causally implicated. At any given time there may well be numerous un-convicted killers riding in vehicles that populate the roads. Exclusive concern for the numbers and types of vehicles that populate the roads could not help identify murderers at large, neither could suggesting the ratio of coaches to cars could have a bearing upon the homicide rate. More coaches and fewer cars might reduce stress and incidence of aggression or road-rage, but the event of murder requires in the very least the trait and tendency to commit homicide, and that has little to do with numbers of vehicles on roads. As an aside how do plants move fats around themselves? Anybody know? Meantime there are enthusiasts who seem to want to nationalise the whole population and subject them to mass medication, preferably without the delay that might be caused by trials that might establish the “outcomes” of such policies, and in concert with the drug manufacturers. I suppose you could call it Health Fascism. Il Duce would be proud. ‘Nothing has changed so much in the health-care system over the past twenty-five years as the public’s perception of its own health. The change amounts to a loss of confidence in the human form. The general belief these days seems to be that the body is fundamentally flawed, subject to disintegration at any moment, always on the verge of mortal disease, always in need of continual monitoring and support by health-care professionals. This is a new phenomenon in our society.’ Clifton Meador M.D. Dr. Kendrick, I just love the title of your book! I look forward to buying it! Doctor Kendrick, I would love to read your collected explanations on preventative medicine. A very confusing area. For example, my problem right now is that I like to take half a teaspoon of ground psyllium husk in the morning (with lots of water), but I’ve been told that it will lower my cholesterol, and that worries me because I don’t want a low level of cholesterol at all! So, please, tell me that it is a lie and that they only say psyllium lowers cholesterol because of marketing. Yes, everything is very confusing. It’s almost as confusing as reading “The Guide for the perplexed”, which I only recommend rading to those with very high levels of cholesterol. I would also like to thank everyone who makes a comment, so far, for being so reasoned and polite. This is how discussions on science should be. In other places there is so much anger that discussion becomes impossible. After my slim, fit husband dropped dead six years ago age 47 and 2 months (coronary artery thrombosis) my GP decided it would be a good idea to give me a good ‘going over’! We were both delighted that I have a low cholesterol level. Now I know different. So what do I do to prevent my sons becoming orphans? I’m already following Zoe Harcombe’s eating plan but is there anything else I should be doing? Since Ian died I have taken more interest in the whole cholesterol/statin argument because I did wonder if he had undiagnosed high levels. A cardiologist who saw my sons after Ian’s death said that he didn’t believe that diet (fat consumption) had much, if any, impact on cholesterol levels. This led me to take more notice and has convinced me that there is, indeed, a huge con going on. an “emigrant asian” colleagues father has been advised about his high cholesterol levels recently so i’ve been drip feeding info to him about the whole con situation. good to have a useful blog to follow from someone in the UK for a change as most of the blogs i follow are american! After a bit of research into the subject, and buying your book. I managed to convince myself that there’s nothing wrong with my cholesterol. I’m not exactly a big carb fan like most people, I don’t eat many carbohydrates, most of them come from sugars and I barely ever eat wheat/rice/etc. I think my cholesterol was around 7 mmol/L. Do you believe my cholesterol is probably low in VLDL? I also use the sunbeds twice per week for a couple of minutes to boost my vitamin D, makes me feel happy and beat my blues along with St Johns Wort. I’ve done quite a bit of research into the whole “UV-light is a danger!” scare, and a lot of it seems to be a load of bull. What is your take on this Dr. Kendrick? Do you have any information on UV light? From what I’ve read, exposing yourself to sunlight which doesn’t cause severe burns can protect against various other types of deaths from illnesses (heart disease, cancer, etc) and even reduces the risk for malignant melanoma, while slightly increasing that of basal cell and squamous cell carcinoma. PS: I had a lovely fried breakfast this morning, and just had 4 sausages, 7 rashers of bacon, 2 eggs, mushrooms, etc for tea. No toast or any of that noncy stuff ;). You’re quite right – I believe – about sunlight. My simplistic view is that the sun is vital for life on Earth, and we evolved with it for billions of years. It would seem strange that avoiding the sun is unhealthy. People who believe this, presumably do not believe in the theory of evolution. On a scientific side, I was recently reading that sunlight protects against rheumatoid arthritis. It certainly protects against many form of cancer, probably also neurological conditions such as MS and Parkinson’s. Pale skinned people living near the equator may need to cover up a bit. As for everyone else. A lack of sunshine is far more damaging. If this study was intended to find a way to reduce coronary heart disease and strokes, I think it has asked the wrong questions. Heart disease is the most deadly of all health conditions faced by humans. However, nformation is available which proves without significant doubt that there is a nutrition-based cure for heart disease readily available to all. In his book, “Prevent and Reverse Heart Disease”, Dr Caldwell B. Esselstyn, Jr., M.D. 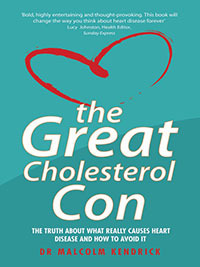 (ISBN 1-5833-300-2, available through http://www.bookfinder.com) shows without doubt that coronary heart disease and other disorders of the arterial system are preventable and reversible through choice of diet. He writes about a scientifically proven, nutrition-based CURE that is available to anybody. A plant-based diet is so good for heart health because it is to do with the functioning of the endothelial cells which line our arteries, and their ability to produce nitric oxide and release it in the blood. Nitric oxide, a critically important vasidilator, prevents white blood cells and platelets from becoming sticky to form plaque, keeps the smooth muscle cells of arteries from growing into plaques, and may even diminish existing plaques. These discoveries won a Nobel Prize in 1998 (Drs Robert F. Furchgott, Ferid Murad, and Louis J. Ignarro ). * Nitric oxide relaxes blood vessels, selectively boosting blood flow to organs that need it. * It prevents white blood cells and platelets from becoming sticky and thereby starting the buildup of vascular plaque. * It keeps the smooth muscle cells of arteries from growing into plaques. * It may even help diminish vascular plaques once they are in place. Fat entering the bloodstream damages the endothelial cells, thus lowering the nitric oxide concentration, and plaques form as a consequence. For this reason, fats are excluded from the nutrition recommended by Dr Esselstyn. Even a “moderate” intake of fat is lethal, and meat has a similar effect. I can’t contribute to this discussion in any intelligent and/or scientific way, but I just wanted to let you know that I’ve just read “The Great Cholesterol Con”, and tried to discuss it with my local “diabethic nurse” whom I’ve had a number of futile arguments with during these last years. Needless to say, she had no clue whatsoever, only “Low carb is baaad, statins and insulin are goood”. Thank you from the bottom of my heart (and Sweden)! The easiest lipid component to measure is total cholesterol. The gold standard for reference labs was always the Abell Kendall method back in the day. Oh what fun! Basically all the cholesterol in the sample was converted to it ester and then measured. Today there are many easier methods (mostly enzymatic) that are employed routinely. For years measuring lipoproteins was done by using ultracentrifugation to separate lipid particles by their density – thus their name. This was not practical for your average lab, so a method was devised to precipitate everything but HDL and then that fraction was measured for it’s cholesterol content and the fraction of LDL was estimated by the Freidl Croft calculation (this is still the most widely used method). These days there are methods to measure both HDL and LDL directly, as well as several new methods that measure particle size. The former can be handled by the average lab, the latter are still too specialized for routine use. It’s only been about 15 years or so that a routine lab could easily handle HDL/LDL on a routine basis, thus I beleive the reliance on TC for so long. HTH. I have read the cholesterol con three times about about to go for the fourth. No, not masochistic, just working on understanding it. I was most struct by the issue of “total mortality” and the studies of the time around the book’s publishing date. In preparing for discussing NOT taking statins with my doctor, I did some searches for “total mortality”. What I found was “all-cause mortality”. Based on your book, I was very suspicious that the two terms were the same thing, in fact, I doubted they were the same thing. Would you please be so kind as to explain what is the difference between the two and if the statin cabal is using the latter to continue to hide the truth? Would it be too forward to suggest a blog article on this subject? Many thanks for your book! I will be writing about risk and medical stats and how they are presented on a pretty regular basis. 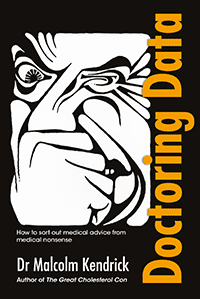 So, this GP friend who is particularly interested in mental health issues has said that a number of books; The Emperor’s New Drugs by Irving Kirsch, Tarnished Gold by Hickey & Roberts, De-medicalizing Misery by Rapley et al and your Cholesterol Con are undermining the worth of his job in his mind; what would you say to that sort of view? Can you as a doctor act in a positive way knowing what you do about these issues? So, you are telling us that the Hippocratic Oath of your doctor friend, to honestly cure people, is worthless; that he puts self above the interests of his patients? Wow; some doctor. Heaven save me from the likes of him. You should read “NO More Heart Disease:” by Louis Ignarro. There’s a real fine medical researcher, ho also won the Nobel (Medicine) prize (with 2 others) in 1998. No, I’m not saying that at all; I’m saying that he is troubled that his profession seems to wholeheartedly adopt a ‘medicate to maintain’ approach to a number of illnesses when that may well not be appropriate in a number of key areas; statins and heart disease obviously but also anti-depressants and mental health. He is saying why should I sit here writing prescriptions for drugs that don’t actually work; where’s the point in that? What can he do to improve the situation of his patients if the drugs don’t work? Dr Kendrick. I have a friend, female, aged 77, not overweight, works out still and walks a lot. Her cholesterol is 8.6 at the minute. She was on statins for 2 years and when I first met her she had a barking cough and painful knees for which she was taking turmeric to help. I read that statins can cause a cough, so she stopped them by herself and after a headache which lasted for 3 weeks, the cough cleared, her knees stopped aching. She told her doctor she had stopped and they decided towait for her next cholesterol test which was 8.6. She is now back on the statins 😦 her cough has returned and so has the muscle pain. I am not a doctor, but surely this is doing her more harm than good. Sorry, I should have added, she has good BP and no history of stroke or heart conditions, although one relative did have a heart attack, a maternal aunt I think. I was just looking for the source of the line ‘silence came the stern reply’ or similar, and found this. What a wonderful piece of luck. I am certainly taking this back to all my colleagues at work who are on statins, being pushed to statins or who know by painful experience they were directly damaged by statins. – By the way, still wouldn’t eat fried or processed meat (bacon) too much, only decent cuts of real meat. I read ALL the above and find it more than interesting as I too, am under great pressure to start to take statins. I am a female of 72 yrs of age, a cholesterol level of 6.7, but a high triglycerides reading. I must confess that I know nothing of the latter but I have been told that is I don’t take statins, the chances of suffering a heart attack or a stroke is 20% if I DON’T take statins. I do not want to take statins, but I just wondering whether the studies you have reported (which were performed in 2012) are still considered to be correct today or whether they may have been superseded? 20% chance… A figure that has no meaning. Ask them simply. What will be the likely increase in my life expectancy?